We made this cute card at a group meeting last month, and it is such an easy card, I used it with my stampers last weekend too! It uses the pop-up posies kit which is filled with great instructions, flowers, brads, and more to make lots of pretty projects. You can easily supplement your kit with ribbon and brads to make even more with all the flowers! 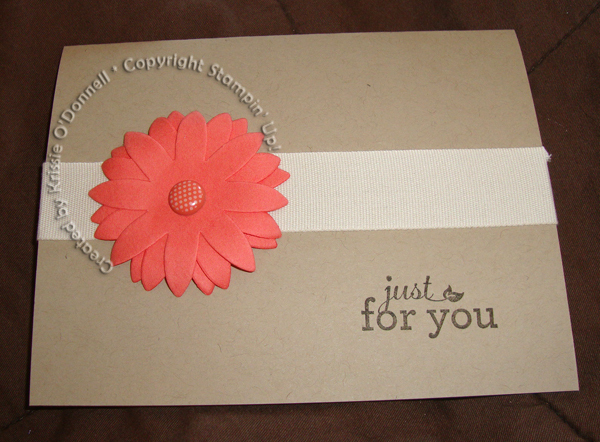 Accessories: Calypso Coral brad, pop-up posies kit flowers, 7/8″ Natural Cotton Ribbon.